"summer is a time to grow"
Polly has an idea that she can't stop thinking about, one that involves changing a few things about herself. She's setting her sights on a more glamorous life, but it's going to take all of her focus. At least that way she won't have to watch her friends moving so far ahead. Jo is spending the summer at her family's beach house, working as a busgirl and bonding with the older, cooler girls she'll see at high school come September. She didn't count on a brief fling with a cute boy changing her entire summer. Or feeling embarrassed by her middle school friends. And she didn't count on her family at all. . .
Ama is not an outdoorsy girl. She wanted to be at an academic camp, doing research in an air-conditioned library, earning A's. Instead her summer scholarship lands her on a wilderness trip full of flirting teenagers, blisters, impossible hiking trails, and a sad lack of hair products. It is a new summer. And a new sisterhood. Come grow with them. 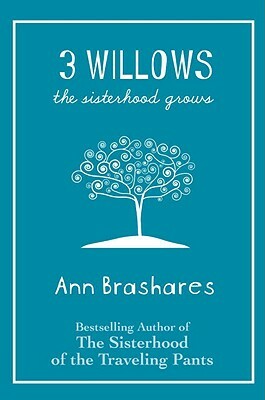 Ann Brashares lives in New York City with her husband and their three children. She is the author of The Sisterhood of the Traveling Pants novels, a series that reached #1 on the "New York Times "bestseller list and inspired two major motion pictures. Visit her at www.annbrashares.net.